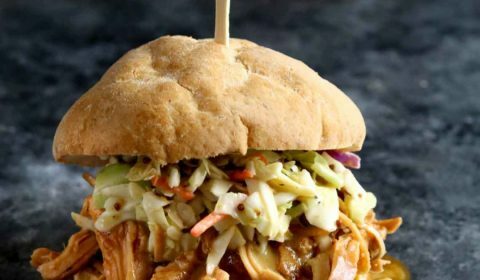 Anybody else love slow-cooker recipes? This slow-cooker Hawaiian chicken recipe lets you throw everything into the slow-cooker as you head out the door and then be ready for dinner as soon as you walk in the door! I love slow-cooker recipes because it takes the stress off of having to carve out time for cooking dinner when you get home. I’m getting ready to explore the world of the Instapot, which will make this process even faster. Be sure to check back for some Instapot recipes soon! 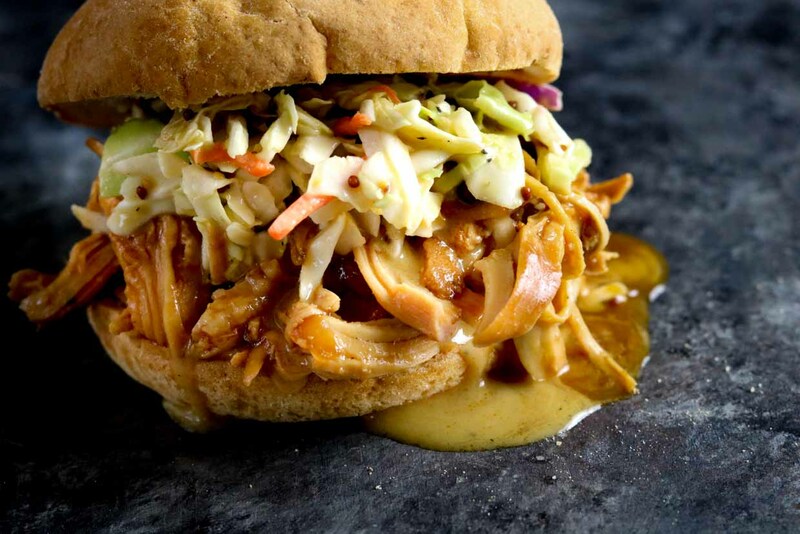 We turned our slow-cooker Hawaiian chicken into sandwiches and topped them off with my homemade honey-mustard slaw. It’s the perfect combination of sweet plus salt. I used gluten-free buns but feel free to use whichever type of bun you prefer. These would also make great appetizer sliders! One batch of this fed my entire family of 6 and still had leftovers. Combine all of the slaw ingredients and store in the refrigerator until ready to serve. In a large saucepan, saute the chopped white onion in ghee until browned. Add in the garlic, Ginger, ketchup, coconut aminos, Worcestershire, pineapple juice, sugar, salt and pepper and stir to combine. Bring to a slow boil, continuing to stir. Add in the 2 tbsp. flour to thicken slightly. Add chicken and sauce to slow-cooker and cook on low for 8 hours (or on high for 4 hours). When finished cooking, remove chicken from sauce, shred with two forks, then add back into the sauce. 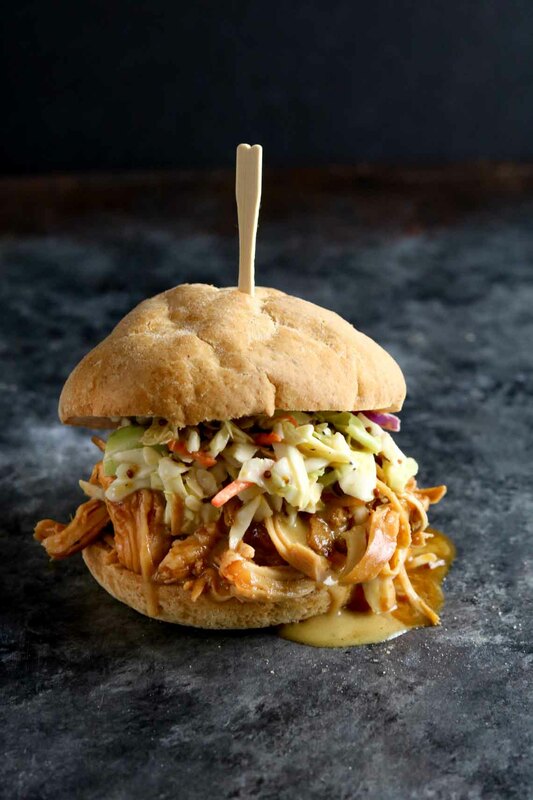 Serve on buns, top with slaw, and enjoy.